After what seems a long time waiting since the original Veeam EndPoint was released, back during VeeamON 2014 – we finally see two paid for versions hit the streets. 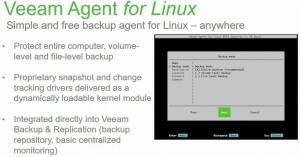 For those of you who don’t know, the Veeam EndPoint Free version provides a simple solution for backing up physical Windows-based desktops and laptops. Released with no central management, it was still a very usable product for specific use cases. No pricing has been announced for these Agents, but their expected capabilities have been described in the matrix below. 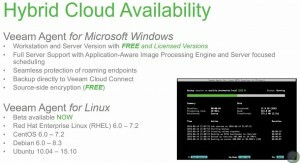 Please note, Veeam B&R v9.5 or higher will be required in order to support these services.